The downside to using the command line is all the typing that it involves. Even if you enjoy typing, it can get tedious after awhile. That is why I have so much fun learning about all of the shortcuts that can be used in the command line, to cut down on the amount of time spent typing. Not only are there tricks available that can do half of the work for you, but there are also keyboard shortcuts that can help you to navigate the command line in half the time. A single dot . stands for the current directory. It can be used in place of typing out the full directory path. Example: cp /tmp/file.txt . Use !$ as an argument to recall the last argument from the last command run. For example, running touch NewFile.txt, followed by mv !$ /tmp will create a new file and then move it to the tmp directory. Use the Esc + . 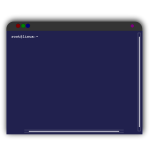 shortcut to recall the last argument from the last command run, and edit it before the current command is run. Using the -v option (meaning “verbose”) with many commands will display the command’s progress in real time, as opposed to them running without status reports. How many of these shortcuts did you know already? Am I missing some? Let us know in the comments!